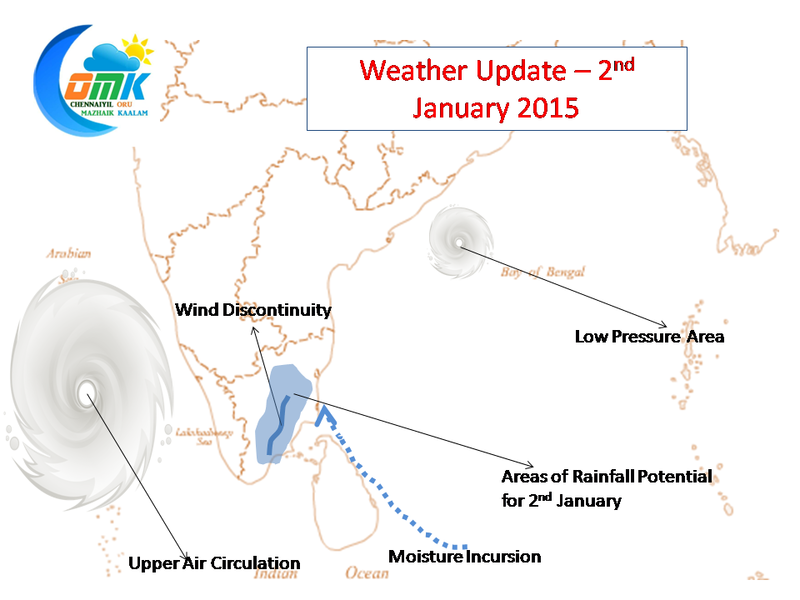 The Low Pressure Area that gave rains to Chennai early this week continues to persist off the Odisha coast. 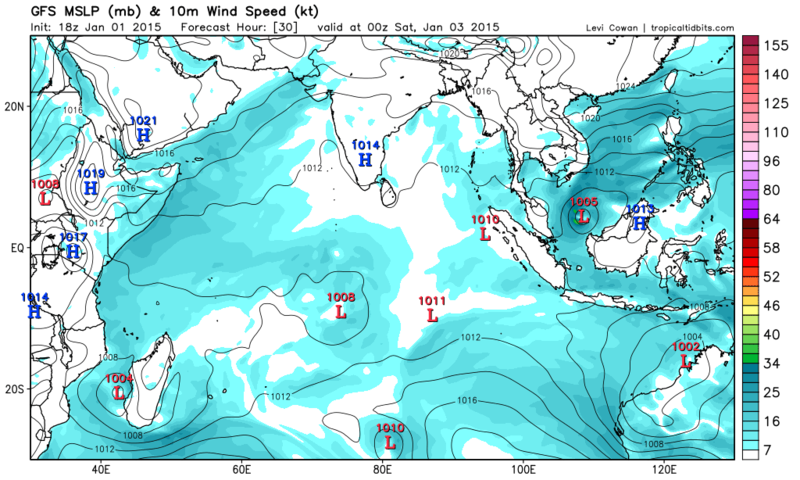 Simultaneously since yesterday there is an Upper Air Circulation that has developed off the West Coast in Arabian Sea. Consequent to this some parts of Peninsular India are under the influence of a Line of Wind Discontinuity providing rainfall opportunities. Areas around Karur, Salem & Namakkal in interior Tamil Nadu etc received rains yesterday thanks to this LWD. Today afternoon to some places in interior Tamil Nadu could receive rains. Coastal North Tamil Nadu including Chennai could receive isolated rains in the afternoon thanks to moisture incursion. Weekend could see the onset of winter for Chennai, temperatures could see a drop in minimum temp around Sunday as the High Pressure Ridge descends down over Peninsular India.